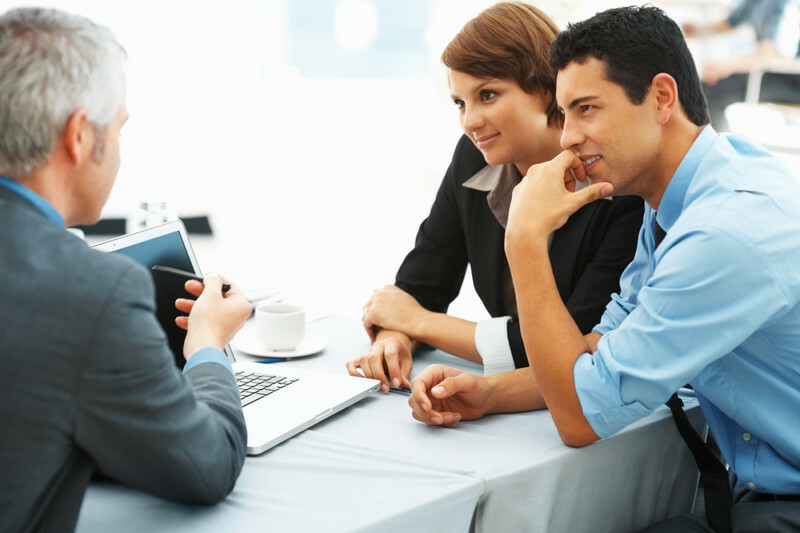 If you meet with clients regularly, a virtual office is a must. A virtual office is not just an ideal way to cut back on costs, but also a way to streamline your operations and make them more efficient. Setting up a virtual office is quick and easy, and it can be a tool to enter new markets. Here are just a few reasons why getting a virtual office is a great idea. Getting a virtual office can help you avoid getting bogged down with things such as rental contracts, mortgages and leases. A virtual office encompasses the straightforward business proposition of "land and expand." Since there is little financial commitment, you simply utilize the space for as long as you want or need. If you want to move to a new location, all you do is sign off and leave. There are no strings attached. Any professional virtual office comes with a multi-tasking staff that is able to deal with multi-tenant clients. This professional staff has the ability to field calls, receive messages, and manage all office duties that a professional secretary or receptionist would be able to. Further, if the secretary happens to get sick, that's not your concern. You are simply paying for the secretary's services, but the medical bills--unlike with a traditional employee--are not your obligation. In the world of business, being able to impress your clients is highly important. That is why a city center address is so highly valued. A virtual office can come with such a prestigious, city-center address, where you will be receiving your mail and any deliveries. In addition, such a prized location may also come with upscale meeting facilities that will correspond to the impression your clients have of you. The best part is that such a meeting facility will come at a fraction of the cost of traditional premises. A virtual office lets you test out your target market before you fully commit to a complete market investment plan. Besides saving a lot of money, this approach also permits you to evaluate your customer reaction and marketing potential. Even just a few years ago, this very important advantage would not have been available in most countries in the world. The above are just a few reasons as to why you need a virtual office today. If the economy's bad, then you will be happy that you can save some money while still putting forth the impression of an extremely professional and sophisticated operation. If you are the type who is not sure about staying in one location for a fixed period of time, then getting a virtual office is also for you, as you won't be bogged down with any contracts. Virtual offices are getting more and more popular, as more entrepreneurs scale back the costs of doing business and look for a more modern alternative that still works. It's official: the age of the cubicle is over. All around the world, businesses are embracing new and innovative forms of workplace organization. The latest such innovation is the concept of "hot desking," in which workspaces are shared between two or more workers. For the enterprising solopreneur, hot desking brings many advantages. Let's have a look at just a few of the business advantages that come with hot desking. One of the largest advantages of hot desking is the cost savings aspect. If you're a solopreneur, hot desking means that you only rent out a workspace for the time that you actually need it. The concept of hot desking is said to come from the naval practice of "hot bunking," in which two sailors would share the same bunk, with one sleeping in it by day while the other uses it by night. This allowed the Navy to save on costs by using fewer bunks to accommodate a larger number of personnel. The same concept applies in the business world - rather than paying for a workspace that's being only partially used, office owners benefit by maximizing the use of their space. For solopreneurs, this also translates to savings, as it means that you can rent a desk by the month, by the week, by the day, or even by the hour. This also means that you avoid the cost of having to sign a long-term contract when you really only need a short-term lease. Along with the cost savings also comes the advantage of increased flexibility. Some days, you may just need to use a desk to set up your laptop, and other days, you might need to use a large conference room with a full A/V set up. With hot desking, you can do just that. Rather than paying for a conference room that you only use once per month, you can limit your costs and increase your flexibility by only paying for a conference room when you need one. Hot desking also means that you can run your business from literally anywhere. On a business trip to Singapore and need to hold a meeting? No need to book an expensive hotel conference room; you can check in at a virtual office anywhere and find the tools you need to run your business. From a solopreneur's perspective, hot desking also means a huge increase in workplace collaboration. When you're running your business on your own, making connections and sharing ideas with other like-minded entrepreneurs can make a huge difference to the success of your business. Since you’re in an environment where you are surrounded by other solopreneurs working on their own business challenges, you’ll have opportunities to chat up your neighbors and receive valuable objective input. The next time you have a technical question or simply want to bounce an idea off of someone, you'll have lots of creative and skilled people to turn to. It's a brave new business world out there, and hot desking is the latest business trend that really makes sense for entrepreneurs who run solo businesses. With the advances made in cloud-based technology, it's easier than ever to run a business from anywhere, and hot desking allows you to do just that. On top of that, hot desking also allows you to work in some pretty cool and innovative workplaces. As long as you're not attached to the cubicle lifestyle, the new world of hot desking will be a friendly world for you and your business. For more information about hot desking or to find a virtual office solution that works for your business, visit us today at www.yourcityoffice.com. A variety of different online marketing techniques are becoming prominent in business to reach customers in a way that is conversational and measurable. One of the most popular methods of online marketing is the practice of emailing clients or prospective clients. Developing an email list and using it effectively is one of the greater challenges for a business to master when engaging in online marketing. 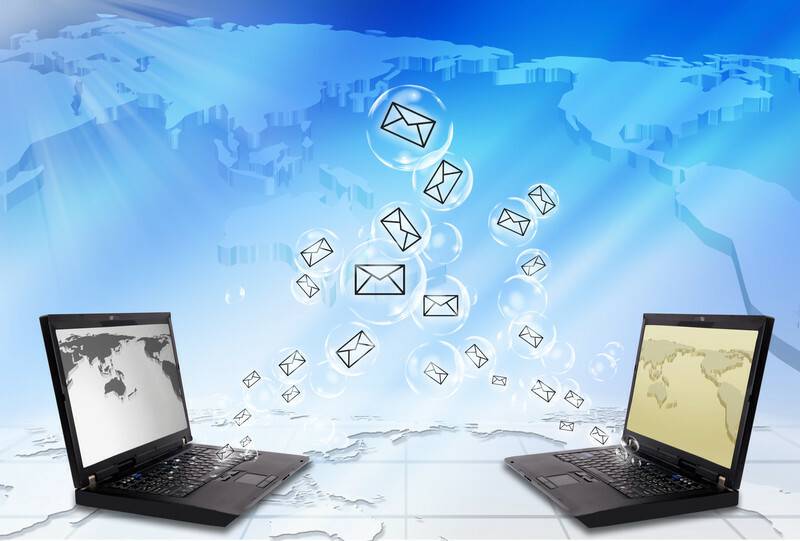 There are several practices that can enhance the effectiveness of email marketing for any small business. In order to ensure the fastest loading times when emails from your business are opened, make sure that you use small graphics. The technique that goes into developing a great email to use as advertising is not the same technique used for print ads. Many email recipients do not even look at graphics, and in many cases graphics do not load. Therefore, ensure that you do not put any important information on the graphic inside the email. Readers appreciate emails they can scan. In this fast paced world, it is rare that a person has time to read mountains of text or sort through a whole paragraph. People want bite-sized portions of information from a business that they can process quickly. It is important to send a test email before sending out the finished draft to your entire email list. Besides checking for spelling errors and doing a fact check, when you send out the test email, make sure to check that all the links work and the images load properly. It is always a great idea to ask your customers to add you to their contacts so that you know your emails will reach them. If they identify with your brand and with your message, they will actually enjoy receiving your emails and will be interested in continuing to receive updates about your business. Make sure that your message includes plenty of links that take the user back to the website for your business. Entice readers to follow these links by including a strong call to action in the copy. You will get more response and engagement for your business if you focus on generating involvement by requesting that of the users. Since email is such an important tool for communication in business these days, it is very important that small businesses master the art of using email as a marketing tool. Though it may seem fairly straightforward, these best practices will help ensure that more of your emails are received, read and engaged with. The more diligent your business is in following some of the simple email marketing tips available, the more likely you are to see an increase in customer traffic. Though email marketing can often seem discouraging or even hard to truly become an expert at, by following the simple tips and tricks you can be certain that your business will develop a strong email marketing campaign. A virtual office is a non-traditional office solution that provides a host of perks when compared to a standard office building offering Serviced Office Space. Virtual offices are a flexible solution that is easy on the budget, and they also save employees significant commuting time. 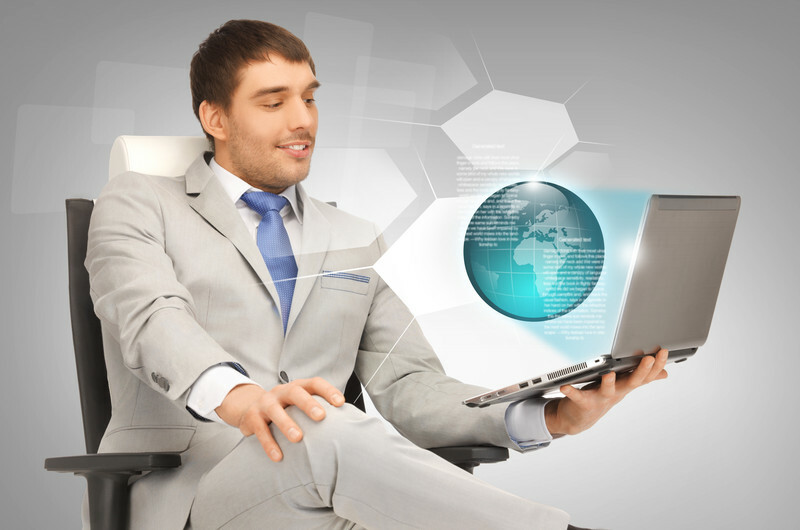 The beauty of virtual offices is that they are cropping up all over the world. It's true! With a variety of virtual offices offering modern amenities in bustling cities and smaller towns all over the world, it’s easy to find an exotic location from which to work. Here are some of the coolest, most exotic locales you can find virtual offices today. The virtual office in Macau is situated in a highly exotic locale, especially for Westerners eager to experience Asian culture. This office sits in the AIA Tower, which itself is located deep within Macau's Central Business District. This location is close in proximity to the Macau-Taipa Bridge and lies close to many governmental institutions and offices. The building is conveniently located near the International Airport and the Ferry Pier, making it great for commuters. The amenities available at this site are second to none. Telephony and IT systems, full furnishings and even videoconferencing facilities make this a world-class office space where you can run a world-class business. India is quite exotic, as is the location for this particular virtual office in Mumbai. It is located in Santacruz and is inside the Kalpaturu Synergy building. This highly modernized building is within a close distance to Bandra Kurla, which is a quickly developing financial and business district in the immediate area. The Grand Hyatt Santacruz is within walking distance. Some of the features of this great site include high-quality construction and design, four different meeting rooms, a dedicated videoconferencing room, hot desks, ergonomic Herman Miller chairs, IP telecom from Cisco itself, twenty-four hour access and a contemporary cafe. 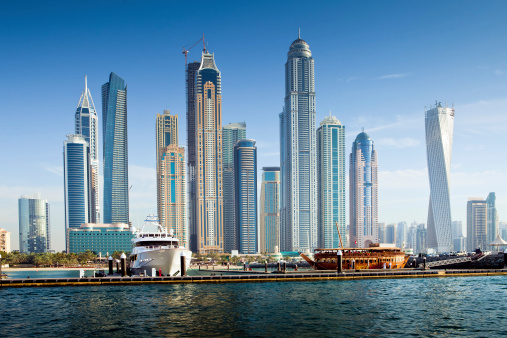 Dubai is exotic, so it stands to reason that a non-traditional office in the city will be quite desirable. The virtual office in Dubai sits inside The Fairmont, which means it offers stunning and spectacular views of both the city and the Arabian Gulf. It also features smooth and efficient access to anywhere else in the city. The building itself has various restaurants, so employees will never run out of a great culinary selection during the working day. The in-house spa spans forty thousand square feet, and the two rooftop pools are great for relaxing after a stressful workday. There is also a a large selection of serviced office space in Dubai available if you grow beyond your virtual office needs. These are just some of the many great virtual offices that are available in some of the most exotic locations in the world. These offices offer a great deal of flexibility, and they are popping up everywhere across the planet as companies realize their value and cost-saving efficiency. Offering all the necessary amenities to run a business at a cost affordable to start-ups, these serviced offices make it easy to operate any company from anywhere in the world. To learn more about virtual office options, or to set up your serviced office solution, Contact us today! In business, nothing quite beats the appearance of prestige. It helps you sell your business, and it helps sell your prospective clients on doing business with you. In short, there is no substitute for prestige. With that in mind, Your City Office now presents five prestigious virtual office locations that are available for your use. In business, Wall Street is the most prestigious location by far. It is the hub of commerce and finance. Having a virtual office on this world-famous street is going to increase the chances that your business and its reputation will be catapulted right to the top of the heap. Your City Office provides meeting rooms, a registered office address and the ability to hold mail for collections at this virtual office location. On the opposite side of the country sits Beverly Hills, a place of wealth, glitz and glamour. Wilshire Boulevard makes for a prestigious virtual office location because it sits in the heart of one of the world's most exclusive and expensive districts. Your City Office provides you with a virtual office inside of a modern, 3-story building right on one of the most well-known streets in all of Los Angeles. London has a historically important tradition as one of the world's most important financial centers. Now, Your City Office offers you the opportunity to establish a virtual office in Peninsula Central, which is one of the city's newest business areas. In this virtual office space, you get both meeting rooms and a registered office address. The virtual office is on the 8th floor, and offers breathtaking views of the Thames and Canary Wharf. Hong Kong is ironic in that it's a fiercely capitalist SAR surrounded by communist China. Situated in the 2nd biggest business district of Hong Kong, Cambridge House is in the heart of the action. It's close to restaurants, hotels, shopping malls, Harbor Plaza and the City Garden Hotel. In this virtual office, you'll find round the clock security, wireless Internet, modern work units and conference areas galore. Rounding out this list is Japan's Tokyo Banker's Club, which sits in the heart of a traditional business district. This virtual office features more than just the basics, including more than 100 workstations, board and meeting rooms, a lounge and café, 24-hour security services, panoramic views across the Imperial Palace and executive standard seating and furniture. Many multi-national as well as Japanese banks are situated in this area. Your City Office is the specialist when it comes to offering virtual offices that increase your prestige, while still being very affordable. It has a host of prestigious locations all around the world from which to choose. This list is just a snapshot of the many selections Your City Office provides. In business, it's not wise to take a chance on a low-key location. To make it, you have to impress your clients with the perfect virtual office location. In business, productivity is everything! The more productive your workers are, the more money you make. The more productive your entire business is, the less valuable time and money you lose. 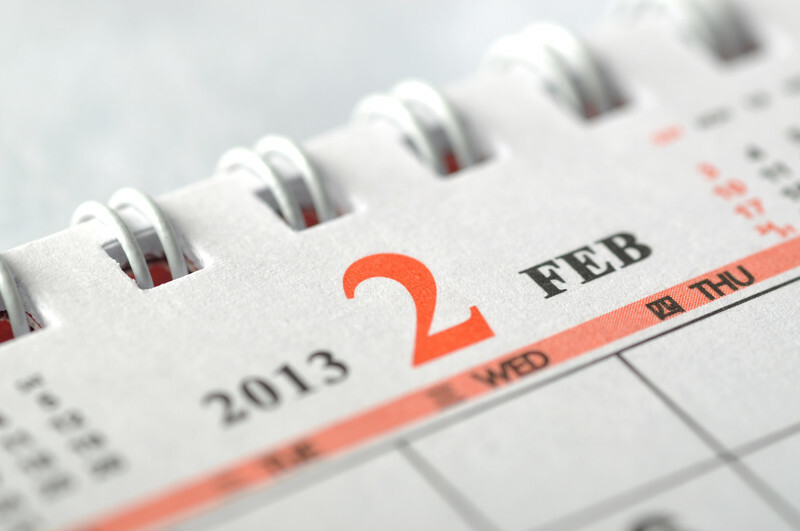 As the month of February begins, it is imperative that you put productivity at the top of your business to-do list. Here are the five productivity tips for February 2018. Remember this business rule: Never do yourself what you can easily pay someone $10 to do for you! After all, your time is worth a whole lot more than that. If you're a business owner, this applies to you. Instead of doing everything yourself, hire someone to do the small jobs. Train him how you want him to perform, and then free yourself up to do what you should be doing, which is running your business. Many people in business realize that there's a relationship between getting more done and being inspired. If you are inspired, you usually get more done and it will get done more efficiently; you also enjoy doing it, so everybody wins. Some people can be inspired (or pushed) by deadlines, so it may be smart to set deadlines for yourself and see what happens. The goals referenced here are not what you may think. Instead of setting the ideal result as your goal at work, establish activity goals and behavior goals. This will aid you in accomplishing your productivity goals. While you can't successfully manage results in the area of productivity, you can easily manage yourself. What you do within your time and how you manage your time are two things that are entirely within your control. All smart businessmen know that productivity gets compromised if there are hurdles in the way. These hurdles can be anything from restrictions to just plain, old regulations and procedures. Bosses should put a high focus on removing various hurdles from the paths of their employees. After all, you hired your employees for a specific job function, but if there are hurdles in the way, then they can't do the job you hired them for. A template is a brilliant idea if you have a task at work that you repeatedly find yourself doing. For instance, if you've got to constantly reply to emails about a certain subject, then come up with a boilerplate letter. It does not make any sense at all to keep writing from scratch each time. If your templates are easy-to-use, you can even delegate the task to someone else. These five productivity tips for the month of February 2018 should go a long way in helping your business become more productive. Increased productivity is contagious, too: If you become more productive at your job, just watch how others around you will follow your lead and do the same. Without good productivity in your business, you stand to lose time and money. 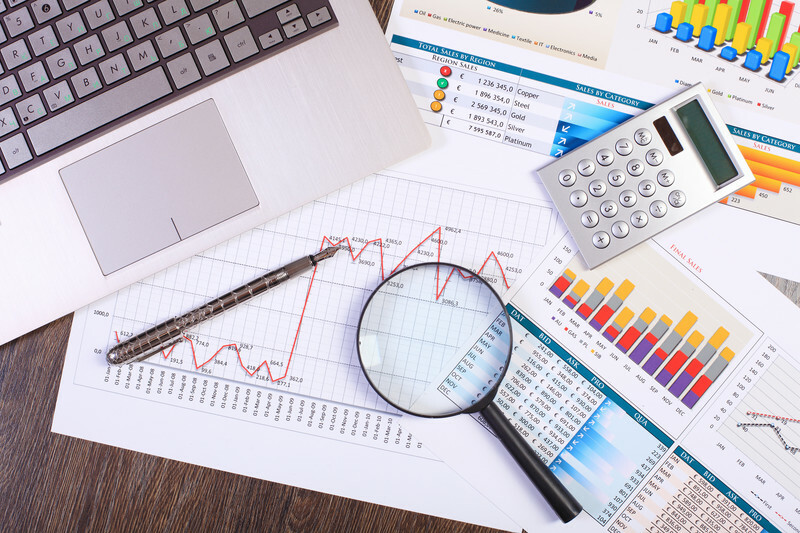 If you’re an entrepreneur or small business owner, it’s likely that you have a wealth of concerns regarding rising office rental prices and the general cost of doing business. If this is the case, you should be looking to find out more about virtual offices to decrease your business costs. If you are managing a remote staff, there’s no reason not to reap the benefits of this modern business solution, compared to the costly and tedious services related to traditional office and business practices. Here are some of the benefits of working with a virtual office rather than just Working from home, and where you can find virtual office solutions. The costs involved with renting a traditional office space can be crippling to many businesses, and many entrepreneurs or start-up companies are unaware of any modern alternatives. As a result, they are struggling as they try to deal with the costs of this traditional way of doing business. With the inception of new Internet-based tools, employees are able to work remotely out of the office and managers are able to do the same, while saving money. A virtual office service can provide your business with a professional business address where you won't have to pay rent, as the virtual office space service will forward all mail sent to your virtual address to your home or other address, and you’ll benefit from still having a reputable business address. This is something that you just don’t get when you work only from home. Your business, as well as the other businesses that use the same virtual office, will share the overhead, making the cost of doing business that much smaller. This also makes a virtual office an ideal option for start-up companies. The benefits and amenities of virtual offices outmatch the limitations of other cost saving business measures, such as working out of P.O. boxes or working from home. Saving you money is the number one priority of virtual office service companies, but the amenities make having a virtual office an even more attractive and legitimate alternative to physical office space. Many virtual offices give their clients the opportunity to rent a meeting or conference room at the virtual office address so they can meet and greet potential or established clients. This is a great way to keep your business looking credible and professional, as meeting at coffee shops or in your living room isn’t always the best way to do business. Also, many virtual office services provide their clients with office space should they need it, and may even provide kitchens, parking facilities, break rooms, video conferencing equipment, and lounges, so that you have access to any amenity that traditional offices provide, at a fraction of the cost. If you’re using a virtual office service, you’ll also be provided with receptionists, who can forward any information, correspondence, or phone calls directly to you. The virtual office service handles all aspects of their human resources, so you’ll have much less to deal with as a remote manager. Because you, your employees, and your clients will no longer have to travel to and from the office, or at least not as often, your virtual office will have less of detrimental impact on the environment by lowering your emissions and fuel usage. Also, if you and your employees are able to work remotely from in and around your nearest city, you will be helping to reduce commuting times and traffic issues in your community. There are many more advantages to working with a virtual office service provider, so to find more information about how to update your business, save money, and reduce your imprint on the environment, contact us at yourcityoffice.com to find a virtual office that fits your business in your area. There comes a time in the lifespan of many businesses when it is determined that the best business strategy to move forward would be to rebrand the entire company. In the most extreme cases, rebranding can occur in every aspect of the business - even down to the name. As drastic a move as this is, it has been a smart decision for many businesses. When considering this option and choosing a new name for your business, it is important that you keep the following five criteria in mind. Renaming your business is a bold move, and the more flawlessly you can execute this challenge, the better. As strange as it sounds, this is one of the most critical elements in a successful business name. Consumers need names that they can feel confident saying, and they need names that are easy to remember. Some creative but long names can actually have a negative effect on a business; instead of drawing people into the business because the name is so unique, they actually serve to confuse and repel people. Go for a name that leaves little confusion in the pronunciation department; your clients will be much happier because of that. This is where creativity comes into play. While it is important to have a name that is easy to pronounce, finding a name that meets that requirement and also conveys what your company is about is pure finesse. If the company name can somehow relate to the core concept of what your business is about, you have done a good job with the name. Being fancy and elaborate is not essential, but giving the customer a clear mental picture is. Many studies have been done that relate consumer behavior to the names of companies. Some studies suggest that companies with a hard consonant sounds at the end of their name - such as Starbucks, Coke, or Nike - have more success than companies that end in softer tones. However, other studies give different suggestions for finding names for your business. Make sure you do your research before you begin to brainstorm. Branded elements are images or finishing touches that companies can consistently produce. Some names lend themselves quite nicely to specific branded elements, while others make coming up with a branded design quite difficult. If possible, choose a name that makes the next step of the branding process slightly easier. Has The Name Been Used Anywhere Before? The last thing you want for your business is to be entangled in a messy legal battle after your rebranding process. Furthermore, it also makes it easier to secure web domains and to create awareness if the name of your company is unique. For these reasons, do a thorough search to determine if the name you are considering for your business has been used anywhere else. Rebranding your business can be exciting, especially if you’re thinking of a new name for your business. Before coming to a final decision, be sure to keep these five tips in mind. Having a virtual office is a neat alternative in the business world. It allows you to save a good amount of money, and it still empowers you to display a professional and sophisticated image to your prospective clients. 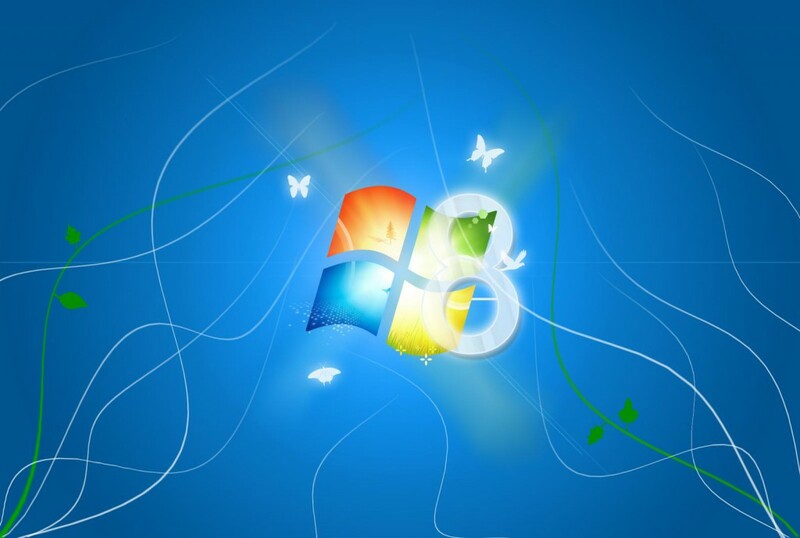 One way of improving the efficiency of your virtual office is by using Windows 8 to the best of your abilities. Windows 8 is Microsoft's latest and greatest operating system (OS) that was just released. Here are the three ways in which Windows 8 will improve your virtual office. One of the most obvious things you'll notice with Windows 8 is that an emphasis has been placed on efficiency and quickness. At your virtual office, you want to get on with the business of dealing with your clients and operating your business. You can't lose time waiting for your computer to start up. In addition, the usual disquiet that's caused by routine boot delays is severely lessened, which gives you peace of mind. Windows 8 features a "safe boot" that disallows the loading of any other programs at the same time as the start of the Windows 8 operating system! Even if you have a virtual office, you will undoubtedly need to travel at times to meet with clients and perhaps attend business conferences. In the past, you were probably frustrated with the lack of support for Internet access to various Wi-Fi hotspots at different places. Windows 8 attempts to help you out in this regard, because it features something called Wireless Internet Services Provider Roaming. Although that's a mouthful, all it really means is that you now have the power to use your operating system to access the World Wide Web from different providers at such hotspots. In this way, Windows 8 behaves somewhat like your mobile device. Have You Ever Wanted to Refresh and Reset Your OS? Now you can refresh and reset your OS thanks to Windows 8. The best part about this updated feature is that you'll be capable of doing so without losing any of your stored files. For instance, let's say that your PC crashes which means you must restore Windows 8. Now, all you require is an image backup that's already stored within Windows 8. Therefore, you can efficiently restore it when you refresh the operating system. These examples are just three ways that Windows 8 will improve your virtual office. These are by no means all of the possibilities. Going ahead and upgrading to this new Microsoft operating system will feel like a natural step when you realize that it has meaningful advantages to offer your virtual office. Whether you are a small business or an enterprise, you will notice that Windows 8 can boost your efficiency and productivity output. As a bonus, Windows 8 also works seamlessly across different platforms such as your laptop, tablet, and of course, desktop computer. When working in a virtual office, one of the biggest obstacles to overcome is having employees working across multiple times zones. One person's noon is another person's midnight, which is why keeping track of deadlines when dealing with more than one time zone can be difficult to do. To successfully overcome this potential barrier, the key is centralization. Every employee must be on the same page and perfectly clear on how his/her role ties into the overall business. Inconsistent communication is often the biggest culprit of missed deadlines when dealing with overseas workers and clients. When scheduling a deadline, it is crucial that all parties involved are aware of what time zone has been chosen for discussing timelines. To minimize confusion, there should be no switching from one time zone to another. All communications should be discussed in terms of one time zone and said time zone should be clearly noted next to any mention of a specific time. For example, "9:00 am" should be written "9:00 am PST." Sticking to one time zone creates a common thread that relieves each involved party of the responsibility of worrying about other team members' time zones. Major deadlines like client meetings, employee meetings, and jobs that require input from multiple departments should be organized in a centralized location like an online calendar. In a virtual office, emails, phones calls, video calls, and texting are the primary modes of communication. These methods can be subject to delays and limit each employee's access to knowledge. Essentially, not everyone can stay up-to-date with what co-workers are currently working on. Regularly updating a group calendar that all employees can access is a great way to keep everyone in the loop. This way, workers who are reliant on each other have a better idea what their co-workers' schedules might look like and can plan their communications accordingly. There is a high likelihood that each employee will face this situation: A deadline that is outside of business hours in their own time zone. Some level of flexibility should be maintained, but to keep things consistent and reasonable, employees should plan on finishing jobs assigned to them during their normal working hours as often as possible. This may involve a little pre-planning where some tasks are completed and turned in hours or days before a deadline, but the extra effort will stop team members from overworking, working at unreasonable hours, or missing deadlines completely. Staying on top of deadlines can be tough in a virtual office, but there are tools and resources available to help virtual businesses thrive. Creating a tangible environment for employees and clients to interact is perhaps the most important hurdle and should be treated as such. To discover new and exciting resources to successfully operate a virtual office, visit us at https://www.yourcityoffice.com. Social media marketing can seem like a waste of time, but the reality is that social media marketing is not a trend that's declining. With the rising number of people interacting with one another on social websites such as Facebook, Twitter, LinkedIn, and Pinterest, business people are taking a closer look at how their businesses can be a part of the online social movement. Below are three things to consider in regard to winning repeat customers with social media marketing. First things first: winning repeat customers through social media marketing is not something that usually happens overnight. Building a strong customer base on social media websites most often takes time and diligence. There will be people who organically find a business' Facebook page, for example, and this can happen through good search engine rankings, friend referrals, and shared posts. However, the majority of followers are going to become followers based on the efforts of the company to promote themselves in a way that's intriguing to people and that puts the audience first. How much value can the business add to the followers' lives? The business needs to post high value content, and they need to be able to enrich the lives of followers on an ongoing basis. Some businesses do this with contests and promotions, for example. Providing valuable content is a great way to gain new followers and retain old ones. It's important for business people to put themselves in their customers' shoes before posting anything on a social media website. What's important to the customer? What is the post going to say about the business? Ethics and integrity are a bigger part of social media marketing than most people understand. What is posted on a business' Facebook account will give people the "big picture" of what the business is all about and what the business values. Paying customers are more likely to purchase a second time from a business to which they feel close. It's important that businesses sustain integrity when doing their social media marketing. In addition, businesses need to respect that people are quite often using social media in a personal way, and they're not usually going onto Facebook or Twitter to be sold something. However, sales statistics will be grim if no one ever makes a sales offer to an interested prospect. Follow-up is as important in social media marketing as it is in business that's done offline. Ask interested customers if there is any further information they require, and ask them if there is anything more the business can do for them. People respect businesses that have a good reputation, that are transparent when it comes to their values, and that are respectful in the way they sell online. In addition to admirable business ethics, with adequate follow-up gaining repeat customers will prove to be effective for businesses that use social media marketing. Looking to expand your business into one of the largest and fastest growing economies in the world? If so, then Guangzhou, China will provide you with the top location in the far east to set up a virtual office for your business. Expanding your operations into foreign markets can be difficult, as you likely already know. That's why any potential location for creating a virtual office must provide an optimal environment for growth and opportunity, all while saving you the costs of traditional office space. 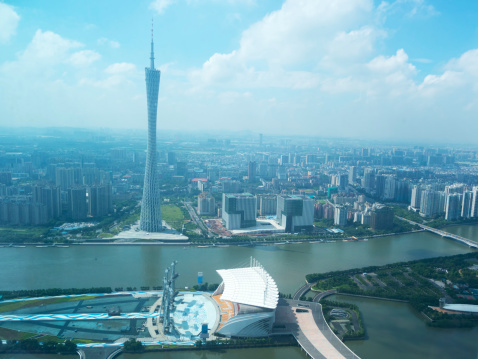 For growth into China, the city of Guangzhou in particular can provide you with a solid foot in the door, and here are five reasons to convince you as to why. Your virtual office space in Guangzhou, China will be located on the tenth floor of the famous and eye catching Skyframe Tower. Positioned right at the central hub of this lively city's main business core, the Skyframe Tower is the definition of modern design, both on the outside and the inside. It provides not only the very best office environment for your business, but also a top rated hotel, a place to buy food and drinks, and a general purpose shopping center. In addition, the tower is a mere five minutes from the Guangzhou East Railway Station, which offers direct transportation to other major centers of activity in the region, including Hong Kong. It's all right there—on location and for your convenience—so you can optimize the operation of your virtual office. The space within the tower that will be set aside for your business combines modern, innovative design with all the leading technological resources that any successful business requires to thrive in today's fast paced world. Throughout the office, the various suites are furnished as any normal office would be and offer ample amounts of space, combined with direct and easy access to first class business facilities. Also provided are a number of critical operational services, including handling/forwarding of mail, offices/rooms available for short term use, and, most importantly, a professionally respected Asian business address for your business. Rest assured that a virtual office in Guangzhou will still provide the two most important features of any traditional office: access and security. Day or night, weekend or weekday, you will have full and secure access to both your virtual office space and the technology within that keeps it thriving. This should provide you peace of mind in knowing that no matter what appears on the horizon for your expanding business, your virtual office space will be there for you, available whenever you need it. Growing your operations into a new market such as China can be a monumental task to say the least, but just know that you won't be going it alone. Support staff for your virtual office will be there at all times to help answer any questions or concerns you may have. No matter what sort of logistical undertakings you might face, they will be available to help you achieve the results you need in order to succeed. China is on the rise these days, and much of that success comes from its various economic powerhouse cities like Guangzhou. By setting up your virtual office in Guangzhou and establishing your newest base of operations, your business will gain a priceless boost to its reputation as one that is keen to remain on the forefront of global economic growth. Guangzhou is a city bursting with activity and opportunity, and your business will only grow and improve by being set up in an environment with such a bright future ahead. If your business is ready to take the leap and expand into a brand new market, visit us at YourCityOffice.com. There, you can find all the information you need about virtual offices in Guangzhou and other top cities right across the globe. Have you been thinking of working from a virtual office but are not sure your employer will approve of it? There are a variety of benefits of working from a virtual office, such as reduced commute times, and reduced overhead and office supply fees. Your employer needs to be convinced just how beneficial a virtual office employee will be for the business overall. While taking the plunge into the virtual office world sounds like a dream come true, you might want to take a closer look at the scenario before trying to convince your boss. There are a few things you might want to consider before approaching your employer with the idea of working from a virtual office. Once you know where you stand, you can approach your employer to let you work from a virtual office. The first thing you want to do before convincing your boss that a virtual office is the right way to go, is to ask yourself if you are the work at home type. Do you have the self-discipline to work from home and through a virtual office? Do you get distracted easily? Will you have an office space just for you? Can your job be done effectively from a virtual office? Do you want to climb the ladder in your career? If you are looking to grow within the company and rise up the ranks, working from a virtual office might not be suitable. The more you are out of sight and out of mind, you won't be the first one considered when promotions are flowing. If you feel as though you are ready to work from a virtual office, then let's build your case! You can start by telling your employer how much money they will save if you work from a virtual office. Let's face it, your place is much cheaper than theirs and working from a laptop or PC in your home will require less money than renting out extra office space for the company. Even though most people have the idea that Working from home could result in poor performance, this isn't true. Many people find that they are more productive when working from a virtual office because they control their environment, whereas in an office phones are ringing, people are talking around desks, and printers are printing. When people work from home, their creative juices may flow more and they can work on projects at any time they wish. Projects will be completed on time and employers will likely see an improvement in the employees work. How can gossip still thrive when you have employees working from home? 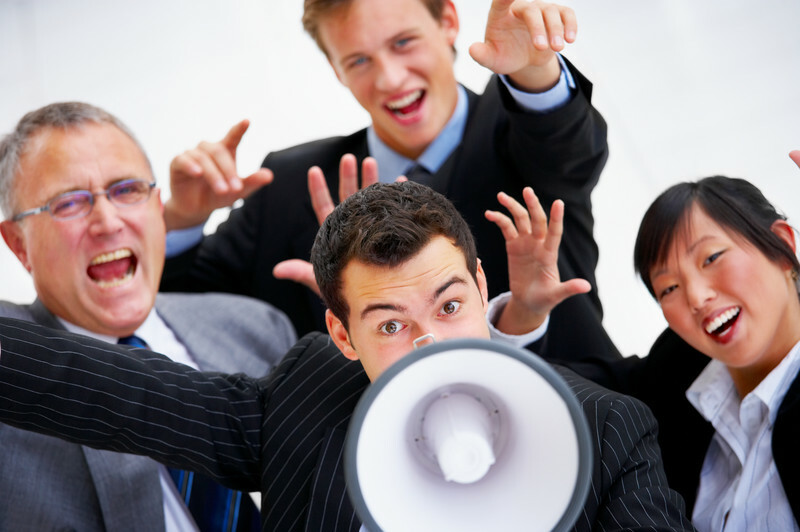 Employees spend less time gossiping about each other when people are out of sight. While it may seem like a cold approach to the traditional office 'team,' your employer will see increased productivity and less gabbing in the office space. More and more leading companies are allowing employees to work from home and through a virtual office. Job satisfaction increases, sick days and absences decrease, people actually communicate on a healthier level instead of being in each other's faces, and trust and loyalty increases. Your overall relationship with your company and employer will improve drastically. You will be more accessible to your employer as they know where you are during the day. You will be obligated to be in touch via email, phone, text and Skype because your boss knows that you aren't making copies in the copy room or running errands for the office meeting. One other bonus to mention when trying to convince your boss is that when you work from a virtual office at home, a huge storm may not threaten your work. Some businesses shut down, areas get evacuated and transportation comes to a halt during bad weather. However, if you are at home, you most likely will have the option to continue working, unless you lose power. Bad weather won't threaten your walk from your bedroom to your office, and you'll be at work on time. The new year is already well underway, and there are a number of new workplace trends in store for you. The world of business is constantly updating because nothing ever stays the same for very long, and business is a great example of this. In the past, the fax machine was all the rage, but it's almost obsolete these days thanks to email, Skype and a bunch of other new ways of communicating. Here are the four workplace trends to watch for this year. More and more, bosses are letting their employees bring their own devices to the workplace. This means that mobile devices are popping up with greater intensity in cubicles and offices all over the country. For example, a study by Cisco revealed that bosses actually let 95 percent of their employees bring their own mobile devices into the workplace. Don't get left behind with this trend. It already seems that it's well underway, so you may as well join the crowd and bring your own mobile device to work. It's no secret that many people in the workforce feel chronically overworked. This is naturally a problem as it can make you less productive and even begin to cause you health problems, both physically and mentally. Survey after survey feels that the average worker is feeling more overworked than ever. To start to combat this workplace problem, an increasing number of companies are attempting to offer programs such as wellness initiatives and even “telework” options to its employees. This is all meant to reduce overwork and stress among workers. Baby boomers are retiring in droves with every passing year, which will result in something of a worker shortage as time goes on. In addition, the workforce of many companies is aging, with many reporting that a lot of their employees are in their fifties. The implication of all this is that companies must start to look elsewhere for new blood. This means that businesses will look to part-time workers, people who work remotely, and even job shares to help keep their business running. It will be a good idea for more businesses to invest in parent support programs, especially since parents (especially mothers) tend to quit their jobs after their second or third child is born. Even more significant is a trend being reported from some companies, that employees can work as much as 10 years before even having their first children! You can bet that parent support programs will be springing up with greater frequency this year. These are the four workplace trends to watch for this year. If you can anticipate them, you can get out in front of them and allow yourself to take advantage of them instead of being caught off-guard. As further socioeconomic changes happen in society, even these trends will change in future years. Most small business owners often dream of expanding from their local town and across the country, or even across the world. With City Office, this can become a reality. With so many businesses going online these days, chances are your business doesn't even require a brick and mortar office. Virtual offices can help you save lots of money on unnecessary costs, such as rental fees, utilities, and commuting expenses. In addition to that, with virtual offices it's far easier to leverage your business in other cities and countries. Below are three ways that having a virtual office can be easy publicity for your business and can help leverage your business beyond the city you live in. City Office has virtual office locations all over the world. Not only do small business owners have a choice when it comes to where they want to expand their business, but they can also choose the area that best suits their business needs. A business owner who hopes to market their business as professional can choose a location on New York's sophisticated Wall Street or in Raffles Quay in Singapore. Business owners who want a chic or trendy location can choose between Madison Ave and Beverly Hills. With various locations in the USA, UK, Australia, Western Europe and parts of Asia, business owners have the opportunity to pick the location that can best leverage their business and increase publicity abroad. Another advantage to using a virtual office in order to leverage one's small business in a different city or country is that it makes the business look far more established and professional than perhaps it really is. Even if you work from home, you don't want potential clients to have your home address. When potential clients see addresses in London, Frankfurt, and Hong Kong, they are immediately going to see your business' worth. What if you want to leverage your business in Tokyo, but you don't speak Japanese? With City Office, it is possible to expand and leverage a business overseas and still receive professional support. With each office location, small business can choose to benefit from additional services, such as telephone answering services by trained professionals. Not only will telephone answering services benefit you if you're expanding into a country where you don't speak the language, but it will also ensure that you never miss a call, never miss a potential client, and make your company seem bigger than it really is. Other additional benefits to support your business include mail forwarding, meeting rooms, and access to office equipment. Leveraging your small business into a different city or country can be easy with City Office. If you want to get your business known and market beyond where you live, all you have to do is select the location you desire. City Office provides you and your business with all the essential office needs in whichever city you choose, so expanding won't be a hassle. The time clock debate is one that has been going on since the beginning of organized labor. Which is better for employees: punching the clock or task-based monitoring? Salary or hourly wages? Set hours or flex time? The debate goes on and on. With the introduction of the virtual office and work-at-home employees, the debate can become even more complex. In order to help you decide what's best for your business, let's take a look at some of the pros and cons of each approach. For employees, the most significant advantage of clocking in is that it establishes clear boundaries between work and rest. These days, many employers expect their employees to be available at all hours of the day, and this can be very stressful for employees who are trying to achieve a healthy work-life balance. Especially when an employee works from home, creating barriers between work time and off-work time makes a huge difference when it comes to stress levels and overall mental health. On the flip side, clocking in can also erode the sense of trust between employee and employer. When an employee is forced to clock in, especially when they are in their own home, this can give the impression that the employer does not trust the employee to get the work done on their own time. It can also lead the employee to believe that they have no value outside of an hourly wage. From the employer's side, virtual time clocks can act as a cost savings tool. By keeping close track of employee hours, you can be sure that you are paying your staff only for the time that they are actually working. It can also simplify administrative practices to pay employees by the hour rather than working out salaries or paying based on productivity levels. For many modern work-at-home employees, the 9-5 schedule simply does not provide enough flexibility, and as a result, productivity often suffers when employees are expected to follow a rigid work schedule. For employers in this new working world, the answer to the age-old time clock dilemma might not always be clear. Through consultation with your employees, though, you should be able to find a flexible solution that works for both parties. In addition, virtual office solutions can also help you deal with this issue in a manner that works for both you and your employees. You can use your virtual office's meeting rooms to bring employees together for face-to-face gatherings, and you can take advantage of a virtual PA to help you keep on top of your staffing administration needs. For virtual office solutions to help you manage your staff no matter where they are in the world, visit https://www.yourcityoffice.com. If you have noticed that one or more of your employees have seemed a bit down, or unmotivated, or that absences have been high lately, you might have disgruntled employees on your hands. It is important to treat this situation with care and make it a priority to make your unhappy employees content once again. 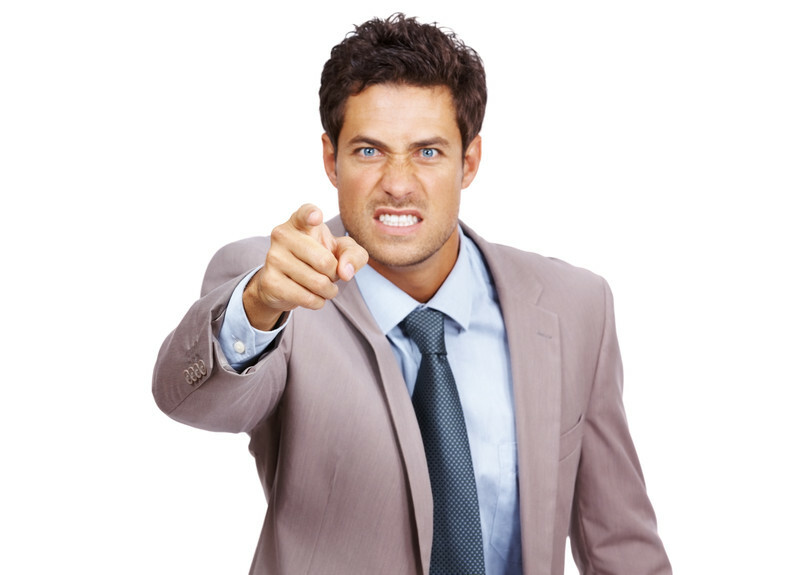 Here are three important tips to dealing with a disgruntled employee within your business so that you can strengthen your team and improve the workplace as a whole. It is extremely common for employees to fall off the right path when there isn't continuous guidance and coaching. There could be a variety of reasons for this, such as not knowing what is expected of them or what the company’s goals are. As an employer, it is important for you to guide your employees and give them the tools to move ahead and succeed in their regular daily projects. Take the time to sit down with your employees and make sure they understand their goals and the process of each assignment. The more involved you are and the more time you spend with each employee, the more they will feel like they are part of something, that they are needed, and that they do have a purpose every day they are in the office. Take an active role in their development and growth, and you will find happy employees everywhere you turn. By giving your employees the proper skills and training, you will be able to offer your employees a sense of achievement on a regular basis. The more training that is offered to your employees, the more they will feel that they have the skills to do their job correctly. Training may increase the confidence levels of your employees so that they will be more inspired to do their job. The humdrum of facing the same project day after day may result in a very unhappy employee. While there is always some element of routine in a job, new projects or a new challenge may turn their frowns upside down. A new challenge can inspire and create excitement within an unhappy employee, and their feelings might change overnight if they get to spend their day doing something completely different. Who knows? You may also find out that your employee has been hiding some special talents where work duties are concerned. There are a variety of other tips to help businesses that have disgruntled employees: create a positive atmosphere, be an active listener, organize team-building retreats, and offer incentives and time off. It isn't as simple as offering your unhappy employees money, as this doesn't necessarily change the way they feel within the workplace. As a business leader, show interest in your employees and give them your personal time. You just might be surprised at how a disgruntled employee may change overnight and begin to feel as though they are part of the company’s successes. If you're running a home-based business or working from a virtual office, you may be wondering whether your home insurance is sufficient to cover your business needs. Unfortunately, typical homeowner and renter's policies do not provide adequate protection against damage, theft, lawsuits, or interrupted operations, any of which could prove a serious threat to your financial stability. 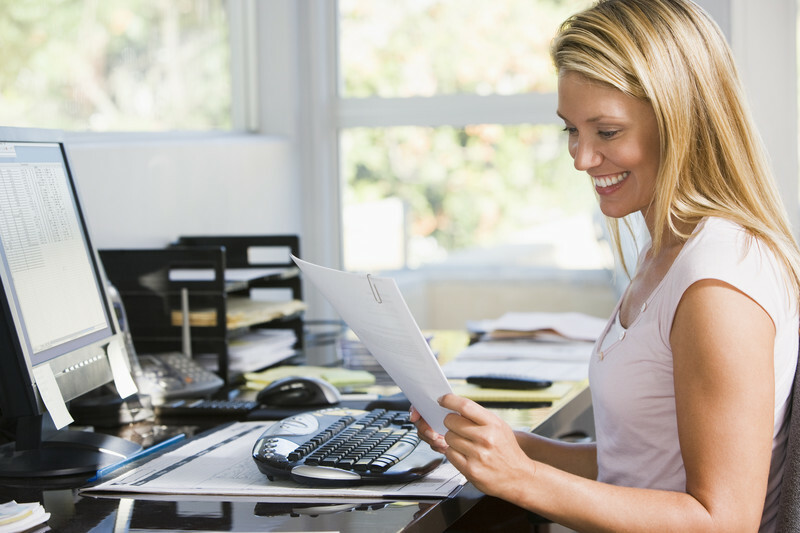 Here are a few good reasons why you should insure your home office. Good quality office equipment does not come cheap. Between your computer, printer, scanner, fax machine and office furniture, the cost of repairing damages from a flood or fire, or replacing stolen goods, could very quickly exceed the coverage offered by a basic home insurance policy. Business property insurance can offer either cash value or replacement costs for any items you use in the course of conducting business. Premiums may be slightly lower for a cash value payout, but replacement cost will stand up to inflation in the cost of technology. Consider carefully which option may be best for you. Although you may not have employees working out of your home office, you might be surprised when you consider the number of people who visit your home for business purposes. For example, couriers and delivery people, perhaps even clients and associates, likely stop in at your home office from time to time. If someone happens to trip on your stairs or sprinkler, or if sensitive client information is hacked and stolen from your computer, you could face a hefty lawsuit should the injured party decide to sue you for the damage. No one likes the thought of lawyer fees and court costs, not to mention the time lost from your daily operations. Business liability insurance will cover damages to visitor property as well as injury to their person, and let you sleep soundly at night. 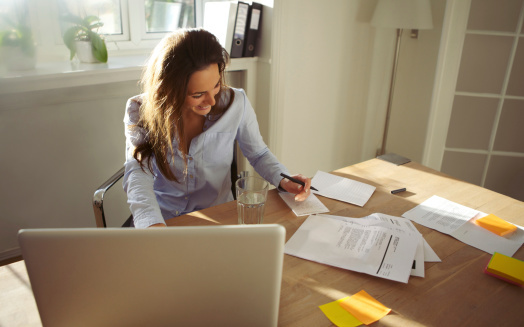 Whether you are telecommuting, freelancing, or running a small business from your home, keeping overhead costs down is important, and the idea of paying for more insurance may seem daunting. Many insurance companies today offer an "add-on" option that combines coverage for basic business needs with your regular home insurance. Add-on options will offer higher coverage for office equipment as well as third party liability, providing the business essentials in a convenient package with your homeowner or renter policy. If you need another budget-friendly incentive, don't forget that business insurance costs will be tax deductible, promising a little relief at tax time. 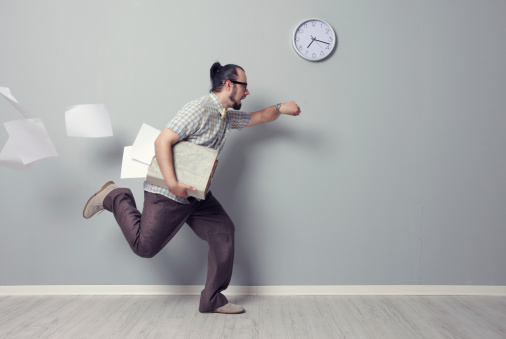 If this list of reasons has persuaded you to insure your home office, don't procrastinate. Start looking for the most effective policy option that is right for your budget, but that also provides all the coverage you need. In the meantime, be sure you take measures to avoid claims, which will increase the cost of your insurance premiums. For example, installing a security system and smoke detectors, and keeping backups of all your files, prove that you are taking steps to reduce your risk, which can work to your advantage with an insurance company. Finding the perfect employee is no easy task. When it comes to hiring, there are always boxes to tick and procedures to follow. Once you do find the right person for the job, it’s important to set them up for success. 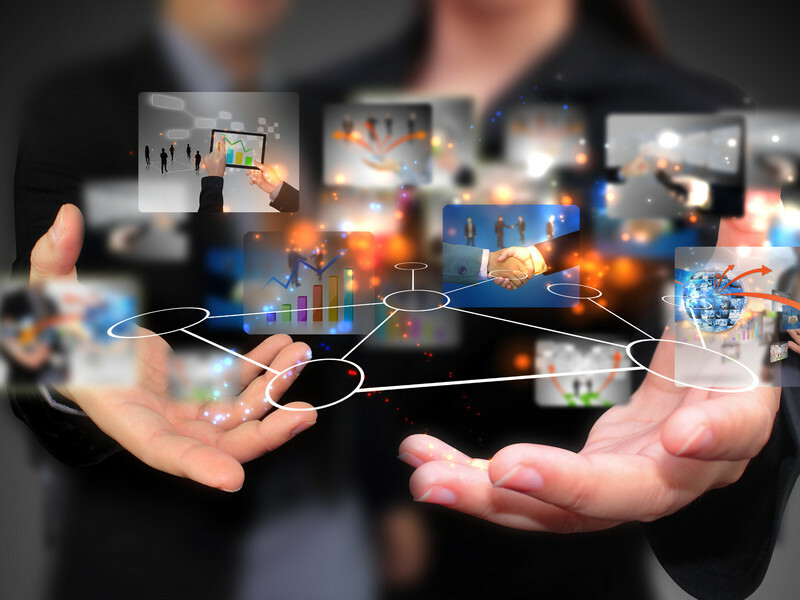 An exciting new trend in small business is the virtual assistant or remote worker. Depending your business, having an employee work remotely may fit your needs better than hiring someone to work in-house. Having an at home employee is a great way to expand a virtual office, but it can come with its own challenges. Here’s how you can make sure that your new virtual employee will feel at home and become a productive member of your team. It’s important to give all new employees a very clear idea of your business’ identity – that is, who you are, what you do, and why you do it. A good outline of the job requirements and responsibilities will help an employee to understand the scope and scale of a position. A solid grasp on the workload will help your employee understand clearly what is expected every day, and allow them to schedule their time accordingly. After you have the right candidate for the job, there are ways to help the employee transition smoothly into their new position. 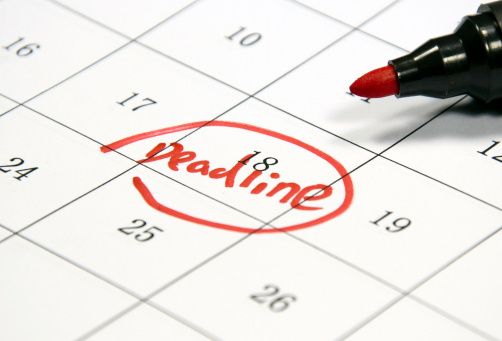 Outline the work you want to delegate now, but include duties that may be required in the next six months. Anticipating upcoming opportunities can get an employee excited about a job, and this will reflect positively in their work. Whether you are hiring locally or outsourcing work, make sure that you establish a good connection with your new employee. A good briefing and one-on one question and answer period is a great way to build a working relationship. This will also ensure that the employee understands how to perform their assigned tasks. Productivity tips and insights into the business will help an employee function effectively and confidently in the new position. Outlining clearly procedures and tasks can save you from walking through them later on. Once your employee is ready to dig in, providing them with troubleshooting resources and/or procedure materials can save you both valuable time. When the employee is faced with a challenge or a technical issue, they may be able to resolve the issue without your direct assistance. This will help your employee continue on at a productive pace, and leave you free to handle your other obligations. There is a steeper learning curve when there is no one in the office to help problem-solve, and is important to remember this when training a new at home employee. Constant communications can become daunting, and may cause both you and your new remote employee to lose confidence, but it is important to be reachable when an employee needs to get in touch. Whether it is through email or via telephone, being able to quickly resolve an employee's issues will help to keep them on track. Make sure you keep the lines of communication open, and stay in contact on a regular basis. Training new employees is a challenging task, even when they work in house. When bringing new remote staff into your organization, it’s vital that you make careful plans for how you will introduce them to the business. This will give your new employee the confidence and sense of excitement necessary to succeed. You should be excited too - hiring work-at-home employees is a definite sign of business growth. Trust your instincts and your planning and see how well your virtual employees can perform when you successfully bring them into the fold. CityOffice can provide you with amenities that will help you to induct new virtual employees. For more information on virtual office solutions, contact us today at www.yourcityoffice.com and see how we help virtual employees reach peak performance. Making the switch to a virtual office is becoming a popular choice for many businesses, particularly real estate agencies, insurance brokers and mortgage companies. Running a business from a virtual office can have a number of benefits, as overhead costs are reduced, employee satisfaction increases, and more money can be put toward helping the business grow. Below are three reasons why virtual offices are ideal for real estate agents in particular. There are a variety of benefits that a real estate agency will see from using a virtual office. First and foremost, the business will see a reduction in overhead costs. When rent doesn't need to be paid and utilities are not a problem, a business can save money. With a virtual office, all employees work from home - meaning rent is no longer a financial concern for the business. Additionally, with a virtual office it is easier for real estate agencies to grow. A business is not restricted by the size of an office; a business can easily grow as it is easy for a virtual office to expand. Saving money in these ways means a real estate agency can channel more money toward their business. Real estate agents themselves will benefit from working from a virtual office. Working from a virtual office means long, stressful commutes are history. Additionally, workers have more flexibility when working from a virtual office, and employee flexibility tends to mean increased employee satisfaction. Additionally, it has been proven that individuals who work from a virtual office will take fewer sick days. Because of the greater flexibility, employees work as they see fit. Lower stress levels leads to healthier real estate agents as well as increased business efficiency. Perhaps the greatest advantage of a virtual office for a real estate business is that it increases professionalism. 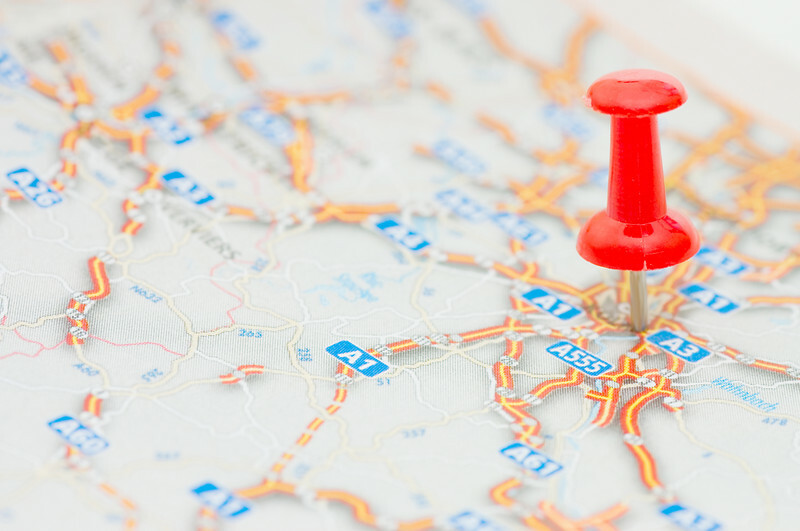 With a virtual office, a business address can be chosen in any location. A business address could be in Manhattan, London, Paris or Tokyo! Choosing an international business address can be a fantastic way for a business to expand into new markets. Most virtual offices include administrative support, which means real estate agents can focus on selling homes knowing that a call will never be missed. Telephone answering services, call forwarding, and voice mail alerts are included in many virtual offices. An additional bonus is that business supplies are often included in the brick and mortar address that a real estate agency chooses. This means that a business can pay to rent out the office space only when they need it, and they don't need to worry about finding the necessary office supplies. Printers, fax machines, Internet access, and security services are all included in the rental space. Deciding to go with a virtual office for your real estate agency is a great idea. Not only will it save money and increase employee satisfaction, but it also increases the agency's professionalism and leaves more money to work on the business side of things. Virtual offices have become the most cost-effective way to internationalize a growing business. 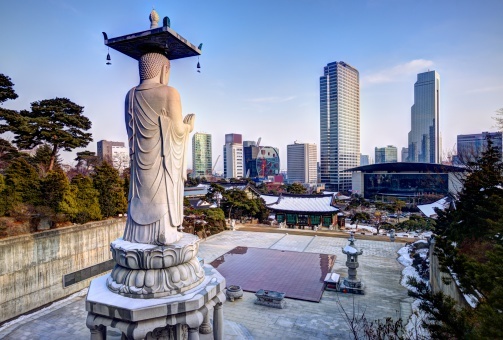 Expanding into a new country can be a daunting task, but entering emergent and modern economies like that of Seoul, South Korea (the Republic of Korea) is much simpler than it may seem. Seoul encompasses a massive metropolitan area and a bustling business sector. Well-known international corporations such as Samsung, LG, Hyundai, and Kia are headquartered there. Below are the most important reasons why a virtual office could help you grow your business in Seoul. Business in Korea is known for its hierarchical organization. Age, experience, and social status will often be the determining factors of superiority. Authority within a business rests almost entirely at the senior management level, so respect for supervisors cannot be overstated. Concepts such as punctuality and negotiation are also perceived differently; generally, they are taken more seriously. It's important to understand the role of socialization in the Korean business world. Put briefly, one's business life and personal life can be expected to converge at some point, and distinguishing between the two isn't always a clear process. Establishing a virtual office with the help of experienced Korean assistants is essential. This way, the gap between dissimilar business cultures can be easily bridged. Efficient business communication is a top priority when expanding into another country. Virtual offices offer personal assistants, remote reception, and answering services in the Korean language. This ensures that non-English-speaking clients still feel comfortable. Business owners can maintain an approachable, professional profile with a registered address in a high-demand location. They can even take advantage of mail collection or forwarding services. One specific location to be considered is the 21/F Seoul Finance Center, located near city hall. In the premier business district of Jung-gu, this virtual office location offers modern conferencing and meeting room facilities. It's located near luxurious hotels, renowned retail districts, and three separate subway lines. A second location is the Gangnam Finance Center in the Yeoksam-dong district. On the third highest floor of the largest building in Korea, one can make use of various sizes of offices, meeting rooms, and conference facilities. There's also high-speed network connectivity and a range of telecommunication options. Keeping costs low when entering a new market mitigates financial risk. Leasing office space and purchasing equipment is expensive. Cutting down on these overhead costs by getting a virtual office eliminates such risk. A virtual office helps support a streamlined business model. The chances for success and revenue improve substantially. Acquiring a virtual office is easier now than ever before. When attempting to expand a business to the Korean hub of Seoul, respect the fact that differences in business culture exist. Taking advantage of translated communication services will ensure a welcoming, competitive appearance. Virtual offices provide the opportunity to establish a competitive business abroad with minimized risk. For more information on virtual offices, visit us today at YourCityOffice.com. Alternatively, check out our list of serviced office spaces in Korea at www.yourcityoffice.com/worldwide-office-space/serviced-office-Korea,-Republic-of.html. Whether you are starting a small business or already have an established office, it might be time to consider going virtual. A virtual office offers numerous opportunities for entrepreneurs, and business owners tend to see that their financial situation benefits from one. A virtual office space may be the solution for many entrepreneurs because it not only saves money, but it also saves an enormous amount of time. Forget commuting to an office space in the city during a bad thunderstorm. Stay within the comfort of home and build your virtual office space with ease. Starting a business isn't an easy task and it takes a lot of dedication, time and investment. If you consider a virtual office, you can save a lot of extra money that would otherwise be gone in seconds if you rent an office. Let's take a look at three reasons why entrepreneurs should consider a virtual office for all of their business needs. A virtual office can be the answer to an entrepreneur’s prayers. With a low-cost virtual office, entrepreneurs can conduct business effectively and without spending all of their start-up money. Forget paying rent, an employee payroll, office supplies and more. A virtual office gives an entrepreneur everything they need, and all in one virtual space. Most likely, the only items you will need to supply will be a computer, WiFi Internet access, necessary software programs, a printer, paper and general office supplies. A virtual office can boost your credibility even if you are just starting out. In your virtual office package, you receive all sorts of goodies such as a telephone number, local business mailing address, voicemail and answering services, and more. Entrepreneurs will maintain a professional image right from the beginning, and clients will have more trust in your service or product if you have these contact methods in place. Even though an entrepreneur may not be rolling in money yet, they will appear professional at all times with these specialized services. Many virtual office packages include administrative assistance. This will allow entrepreneurs to be doing what they do best: creating, developing and inventing. Someone will act as your virtual assistant and receptionist, and they will handle all incoming calls, voice messages and emails. Not only will entrepreneurs save time during the day, but also a business that has administrative staff at the other end of the phone will never miss a client phone call. While there are many other reasons why entrepreneurs should consider a virtual office, these are the main three that stick out. If you are an entrepreneur and want to start a business of your own, a virtual office is the way to go in this day and age. Nowadays, people don't want to commute long hours to work, they don’t want to be stuck in a cubicle all day, and they don’t want to spend enormous amounts of money on an office space and its utilities. Go virtual and build an empire of your own.